IMF, NY Fed research challenge key policy assumptions in EU, US, top global market movers from the US, how Yellin’s congressional testimony converged with technical factors to feed ongoing post EM-scare rebound, etc. The following is a partial summary of the conclusions from the fxempire.com weekly analysts’ meeting in which we cover the key lessons learned for the coming week and beyond. Despite the prior week’s tentative rebound in global stocks, the most recent weekly data saw record weekly outflows from U.S. and emerging markets, with outflows reaching a record $28.3 billion, Nomura analysts said in a note, citing data from EPFR Global. However European equity funds actually saw a minor inflow of $1.27 billion in net inflows, their 32nd consecutive week of net inflows. Meanwhile, Europe’s economic performance hardly justifies this added interest. Italian industrial production fell 0.9% in December, and its service and retail sectors appear to be contracting. In France, industrial production fell 0.3%. Analysts including JPMorgan believe the ECB’s monetary stance remains too hawkish. A new IMF report released Thursday challenged claims made by Harvard economists Carmen Reinhart and Kenneth Rogoff that high government debt levels stifle economic growth. Researchers Andrea Pescatori, Damiano Sandri and John Simon wrote that they found no evidence that there is any particular debt threshold above which the odds of medium-term growth are materially reduced. Reinhart and Rogoff’s 2010 paper “Growth in a Time of Debt” claimed that when a country’s debt/GDP exceeds 90% then its growth is much more likely to suffer. In 2010, an academic paper called “Growth in a Time of Debt” released by Reinhart and Rogoff argued that there is a threshold effect, meaning debt above 90 percent of a country’s GDP (gross domestic product) is associated with dramatically worse growth outcomes. 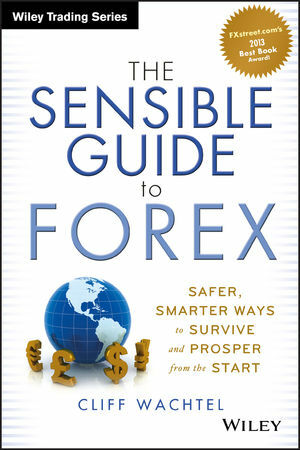 They expanded upon this in their bestselling book in 2009, This Time Is Different: Eight Centuries of Financial Folly. The basic point was that whenever governments pile up too much debt, they crash their economies and currencies so, like, don’t do it. It was a clear warning to the over-leveraged governments of the world to go on a strict fiscal diet, and was out just in time for the start of the EU sovereign debt and banking crisis that blossomed in early-mid 2010. This is far from a mere academic debate. Their work is regularly cited as a justification for the austerity measures widely applied in Europe, European Union’s Commissioner for Economic and Monetary Affairs Olli Rehn has cited it during key debates about the need for euro zone budgetary tightening. No one disputed that austerity would bring lower growth in the following first years as governments cut jobs, benefits, services, and thus private sector incomes and spending power. However many believe that even in the longer run austerity will continue to be self-defeating because the austerity measures cut growth as fast as debt, locking nations into a “debt spiral” of lower growth from less government spending that stymies any progress on reducing the debt/GDP ratio as both figures fall together. The ensuing pain throughout much of Europe threatens to undermine popular support for the EU that could ultimately bring in leaders that want to pull out of it. The IMF paper claims the correlation between debt and medium-term growth becomes weak at high (over 90%) levels of debt, and that nations with high but falling debt/GDP have historically grown just as fast as their nations with lower debt/GDP. However the authors concede that they haven’t figured out the connection between debt and growth, and thus don’t know how much debt is ok in a given situation. In other words, they can’t say how much debt is too much for a given nation, which is the big question here. There’s an intuitive appeal to this thinking. Nations like the US and Japan have gotten away with high debt levels thus far. So if a nation can grow with already high debt levels (Japan’s debt/GDP is over 200%) without loss of confidence in its bonds or currency, then any reduction should only inspire greater confidence. Granted the USD has indeed been in decline for decades against almost everything and every major currency (see here for details) but the decline has usually been gradual enough to allow its economy to adjust. That said this paper will be useful ammunition for the anti-austerity, soft money, pro-inflation forces in the ongoing debate over how to recover from the Great Financial Crisis. Now we move on to lessons learned from US developments that we can apply to the coming week and beyond. Yellin’s semi-annual congressional testimony proved to be the week’s most influential calendar event. It boosted risk appetite by simply assuring investors that there would be no policy changes as she takes the helm. What made this bullish for risk appetite was the message that there was no planned taper acceleration or other tightening. It could be argued that this while the continuity is reassuring, it’s a weak excuse for a rally, especially given that many believe the taper’s implied future tightening is partly to blame (along with negative influences of China and local troubles) for the investment outflows and subsequent currency turmoil and interest rate hikes in emerging markets. We suspect that the rallies following her Tuesday and Thursday testimony were as much about a simple ongoing technical bounce seeking an excuse to continue as anything else. Note that most major indexes in the US and Europe were near strong support or resistance levels (and so primed to break out) and thus investors were ready to buy on any reasonable excuse. For example, the S&P 500 had closed Monday just below its 50 day EMA and had been rallying since the middle of the prior week. Matters Of Life And Debt Part 2: Is Fed Underestimating Wage Growth, & Thus Inflation Risk? 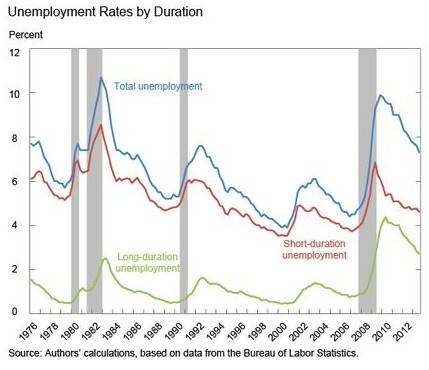 As indicated in the above quote from Janet Yellin’s Congressional testimony last Tuesday she believes long term unemployment underestimates the true slack in the labor market, and thus continued stimulus and historically low benchmark interest rates must continue until at least well into 2015 if not longer. According to a report issued the next day, February 12, by researchers at the New York Fed, the short-term unemployment rate is a better predictor of wage growth than the headline unemployment rate. The short-term unemployment rate has already recovered to pre-crisis averages, while long term unemployment rates are still well above pre-crisis levels, as shown in the chart below. 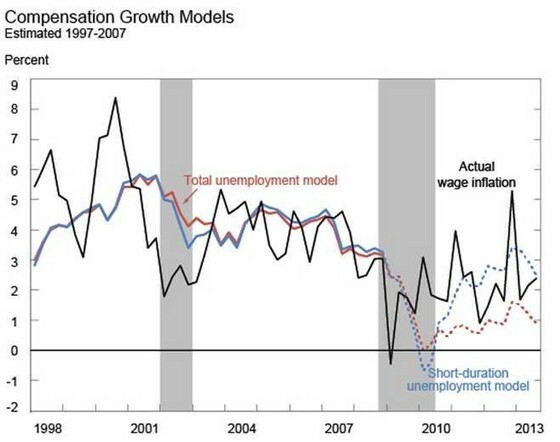 They found that since the recession, the forecast using short-term unemployment has been closer to actual wage growth than the other, as can be seen in the next chart. Total employment is just the sum of short and long term unemployment. One reason why there is so much confusion about divergence between short and long term unemployment rates is historically unprecedented. Before the Great Financial Crisis, short-term unemployment closely tracked total unemployment (because there were fewer long-term unemployed), so either measure could be used to forecast wage growth reasonably well. Only in recent years has there been a sudden difference in short and long term unemployment. The NY Fed researchers aren’t the only ones questioning the Fed’s focus on long term unemployment. UBS economists Drew Matus and Kevin Cummins suggest that high long-term unemployment was a structural issue, not a cyclical one that could be improved by monetary policy. In other words, the causes of long term unemployment are more related to lack of the right skills, location, or motivation, rather than US growth or interest rates. A recent NY Fed survey of consumers supports its view, as it showed that expectations for wage growth over the next year spiked in January. These findings imply that basing policy decisions on long-term unemployment may cause the Fed and others to underestimate wage growth, risking an unanticipated spike in wages, inflation, cutback in stimulus, and perhaps interest rate hike. Judging from how markets react to such surprises, those developments would risk a new taper tantrum with stocks diving, and emerging market currencies and global stocks plunging yet again. One lesson here, as implied by the policy debate about the relationship between debt/GDP and growth, is that key decisions that will profoundly affect the global economy are being made based on assumptions or theories that could well be untrue. A loss of credibility regarding the US’s willingness to behave responsibly with the world’s reserve currency that risks an ultimate loss of that privilege and its benefits (mostly extra demand and support even with less than USD supportive policies). Underfunded savings and pensions for the huge cohort of baby boomers approaching underfunded retirements. Following the release of worse-than-expected retail sales data Thursday, market economists are slashing GDP estimates for both Q4 2013 and Q1 2014. The bright side is that most believe a series of winter storms is at least partly to blame. Many are hoping the weather was a primary cause. However…. As noted here, last Thursday global stocks shrugged off weak US retail data as a mostly weather-related temporary aberration that will be corrected as deferred demand shows up in future months. Poor jobs and industrial production results have also been downplayed with the weather excuse. However, if weather were the decisive factor in suppressing otherwise healthy demand, then we’d expect online retailers to have had a great month, as they’d have picked up extra business from home-bound shoppers. However the retail sales reports showed that non-store retail sales also fell – 0.6% month-over-month in January. Granted, bad weather could still hinder online sales too. Those who suffer losses because they can’t earn or suffer property damage due to the weather may well defer spending. Dealing with weather related chores (snow shoveling, spending time with school age children stuck home, etc.) would also defer non-essential online shopping. As we discussed in our post on the EURUSD weekly outlook, most leading global stock indexes just closed their second straight higher close. US and European indexes have recovered major chunks or nearly all of their pullback in recent weeks, suggesting that risk appetite has mostly recovered. We hope to have a second part of this lessons post, covering developments to watch this week from beyond the US, within the coming day.